Talk about the place to eat. I had a great time watching these birds preening and carrying on over the mangrove patches at a fantastic Mediterranean style restaurant named Santorini Ocean Lounge Restaurant. Parts Greek, Spanish and Puerto Rican, seafood is the reason to dine here. Add the views of the Caribbean Sea, potential for birds, English menus and servers and craft beer, and there is no reason to eat anywhere else in the area near the Holiday Inn in Ponce. 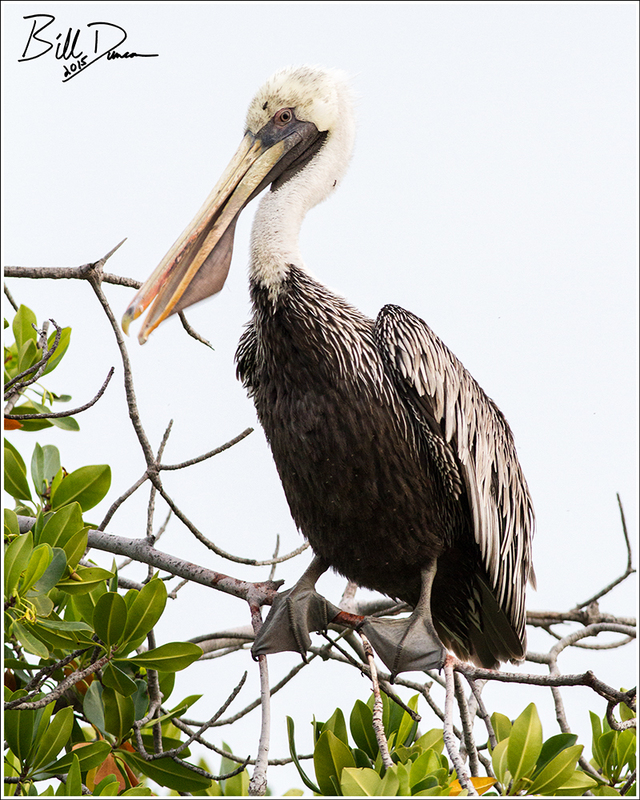 Less social than the American White Pelican, the Brown Pelican usually hunts alone and frequently dives for its food. The American White is considered accidental as far south as Puerto Rico, but the Brown is quite common across southern shorelines. This bird kept eyeing my seafood paella.